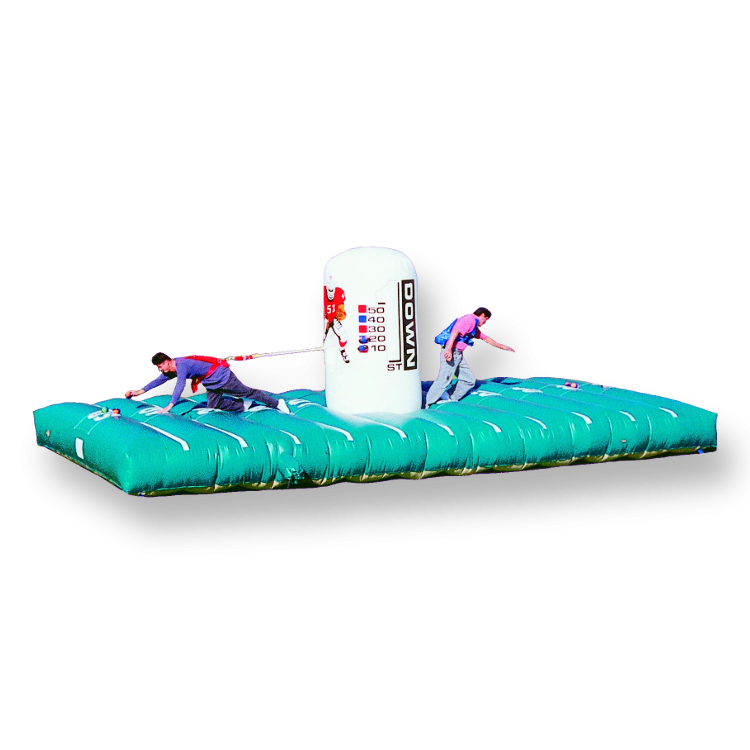 The ultimate Tug-of-War for you and a buddy! We strap you to opposite ends of a long bungee cord and then its up to you to gain as much yardage as possible before the whistle blows. Your gain is measured by yard lines on our inflatable field. Who knows when there will be a scout in the crowd?